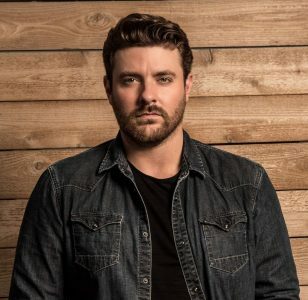 November 20, 2018 – British Country Music Awards’ International Act of the Year and multi-platinum entertainer Chris Young will return to the UK in 2019 for several limited engagement dates on his “Chris Young Losing Sleep World Tour.” Headlining stops are planned for Manchester, Glasgow, Birmingham and London in May with tickets on sale Friday, November 23rd at ChrisYoungCountry.com. The RCA Records Nashville artist made his inaugural trip across the pond in 2013 and has toured the UK four of the last six years. Special guest on the UK leg of the “Chris Young Losing Sleep World Tour” dates in 2019 is Stoney Creek Records’ rising star, Lindsay Ell. Tickets for the UK dates of the “Chris Young Losing Sleep World Tour,” promoted by AEG Presents, SJM Concerts and Live Nation, go on sale beginning Friday, November 23rd at 9am (local time). Find a complete listing of tour dates and purchase tickets at ChrisYoungCountry.com. Chris Young stops by LIVE with Kelly & Ryan. View the performances HERE. Chris Young stops by Good Morning America. View the performances here: “Hangin’ On” / “Losing Sleep”.